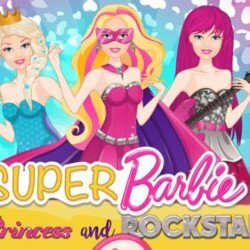 You are invited to Barbie`s pyjama party, so put on your comfy clothes and join the doll festival! 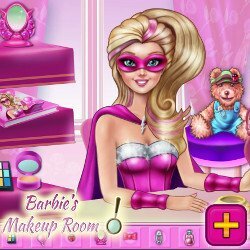 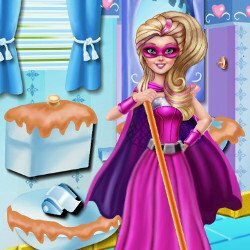 Have a fun makeover session with Barbie, Chelsea and Corinne, where you get to choose the spa products, hairstyles and outfits. 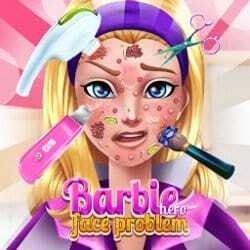 Once the beauty treatment is over, the party begins, so make a toast and enjoy the rest of the night with Super Barbie!